The hardness of water indicates the presence of natural minerals in high amounts in the water. You must be wondering what problem can mineral water cause, right? Well, apparently drinking mineral enriched water for the long run has no potential side effects on the body. But do you use water only for drinking purpose? Water is a basic need for minor to major-all kinds of housekeeping chores. 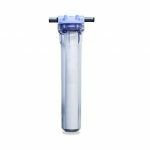 Hard water ions possess limescale forming properties which is something you should be concerned about. Limescale is the greasy, whitish residue you notice around your bathtub, sink, dishwasher, washing machine and on the bathroom floor. 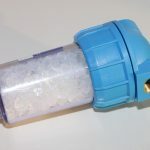 In the worst case scenario, limescale crystals adhere to the inner surface of the incoming pipe and plumbing fixtures of your home, resulting in disrupted water flow. 1 How does the WaterBoss unit work? 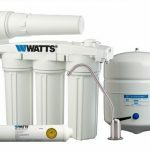 How does the WaterBoss unit work? 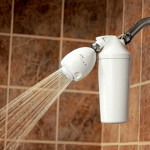 WaterBoss Water Softening unit utilizes ion exchange method to prevent limescale build up. It is a whole-house, salt-based system. 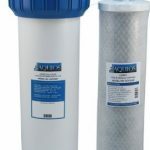 The ion or cation exchange process takes place in the resin tank which is filled with tiny polystyrene beads. When the hard water flows through the resin beads, the positively charged hard ions stick to the sodium ions carrying negative charge. So, basically the sodium ions are traded for the calcium and magnesium ions. 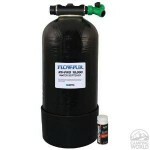 After the completion of this method, the tank flushes out the excess brine and gets prepared for a regeneration cycle. All WaterBoss units feature automatic regeneration systems which enable the units to refill on their own whenever the beads the saturated with sodium and potassium. 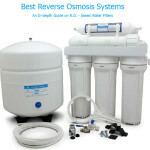 WaterBoss is counted as one of the top-rated water softening system manufacturer across the globe. Their unflinching success in the worldwide market can be attributed to the innovation of design and technology, teamed up with excellent customer care service and warranty period. 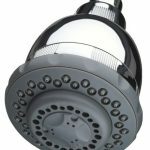 This WaterBoss review intends to enlighten you about the highlights of this highly sought after water conditioning appliance. 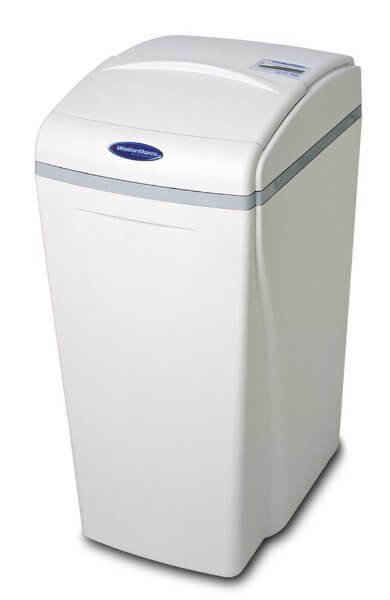 WaterBoss, like its business rival and industry giant Fleck, has multiple models to suit the different needs of various households. WaterBoss comes in 4 specific grain capacity models viz. 365, 700, 900 and 965. Now, let’s us take a brief look at the features, strengths and weaknesses of each type to attain a better understanding of the models. 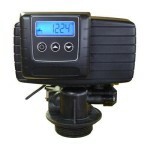 WaterBoss 365 has a programmable LCD display that allows you to keep note of the regeneration timing of the unit. The model measures approximately 18.8 x 14.8 x 30.8 inches. The fairly slim size of the device makes it an easy fit for small kitchen areas. 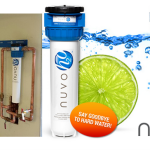 Its ultra-powerful unit can effectively handle 36400 grains of dissolved hard ions before a regeneration cycle. The ability to soften in such a large scale gives is a huge advantage for big families. In as little as 38 minutes with 6 pounds salt setting, WaterBoss 365 completes the regeneration process like a boss! 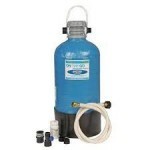 The WaterBoss 22000 grain water softening system houses an exclusive 16 GPM water flow rate at 15 psi drop to minimize the water pressure drop from the water systems like showers and taps. The regeneration cycle is over within 19 to 20 minutes. Apart from the stunning recharge speed, it also features a built-in sediment filter can reduce upto 10 ppm of ferrous iron, dirt and sediment. Additionally, a bypass valve has been incorporated to expand the shelf-life of the device. WaterBoss 700 has the capacity to treat 70 grains of hard minerals per gallon. 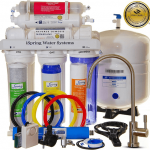 WaterBoss 900 is an ultimate hard water solution for large families. This unit is specifically designed to resolve hardness over 10 GPG. You are not likely to find any other whose house system providing this much of capacity. One mentionworthy distinct feature of waterBoss 900 is that it can also function as an iron water filter, decreasing the level of hazardous ferrous iron upto 10 ppm. 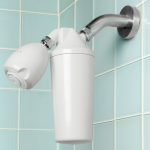 The 10 GPM water flow rate at 15 psi ensures no to little pressure while running a shower or any other water based appliance. The last edition of the WaterBoss unit provides 22000 grain capacity and tackles 35 grains of dissolved calcium ions per gallon. Its mix media bed of the machine needs a special recognition for its alternative function as a chlorine taste and odour remover. This is a two-in-one solution for both hard as well as impure water. The built-in whole house filter has self-cleaning features which means you’re free of the hassle of cartridge replacement. All the waterBoss models are on ‘set and forget’ mode which means zero maintenance! Regeneration process is pretty fast. 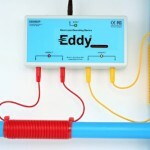 Isn’t ideal for households with low water usage. 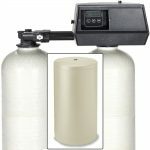 The effectiveness and performance quality of WaterBoss water softening systems are unquestionable. People with space issues should seriously consider WaterBoss for it lends a really small foothold in your kitchen or under the sink. Another big advantage on the part of the owner is the minimal requirement of salt. Buying any of the 4 models is certainly going to save you from a lot of hassles in the long run. WaterSoftenerMaestro.com is a participant in the Amazon Services LLC Associates Program, an affiliate advertising program designed to provide a means for sites to earn advertising fees by advertising and linking to Amazon.com. Amazon and the Amazon logo are trademarks of Amazon.com, Inc. or its affiliates.